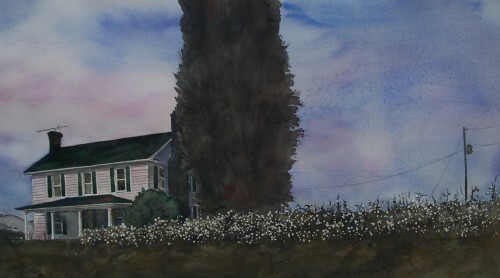 Original unframed watercolor, Southern homestead's landscape. 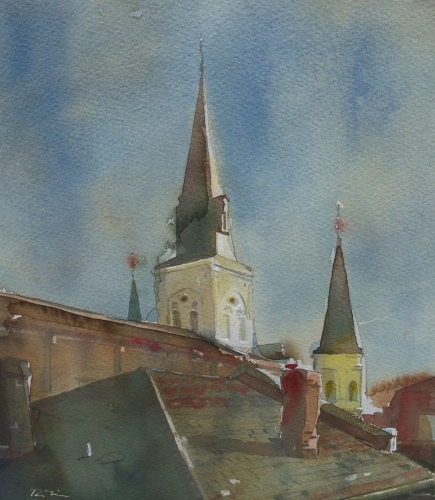 Original unframed watercolor, a view of historic St. Louis Cathedral from artist's garret. 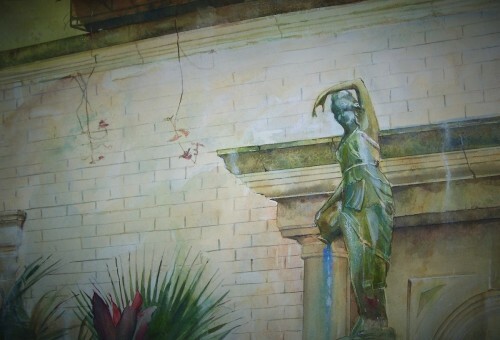 Unframed original watercolor, lady of a lush courtyard garden at The Ritz Carlton Hotel, New Orleans. 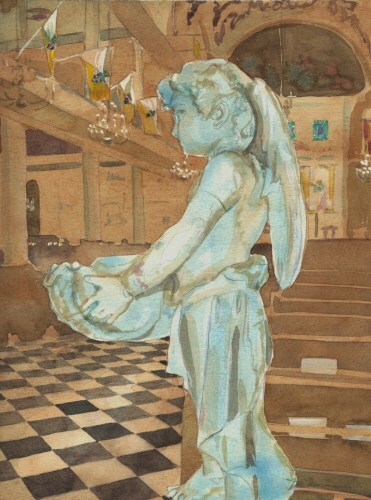 Original unframed watercolor, holy water font at rear of cathedral. 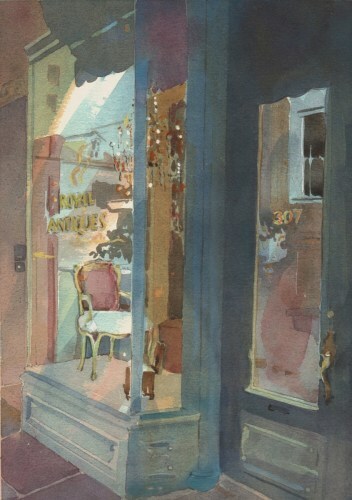 Original unframed watercolor, Royal Antiques (located at 307 Royal Street, New Orleans). 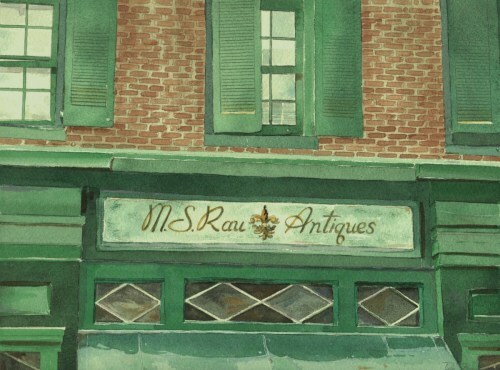 Original unframed watercolor, detail of building facade of generations old fine antique store. 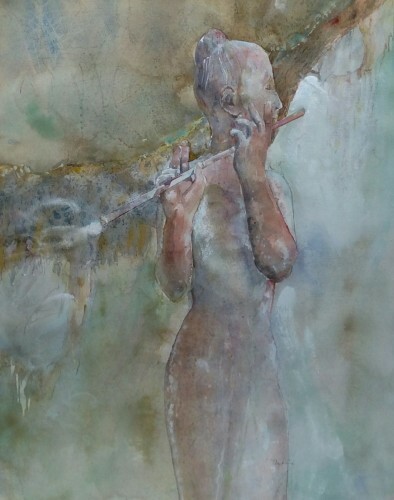 Original unframed watercolor painting, washing away Mardi Gras revelry. 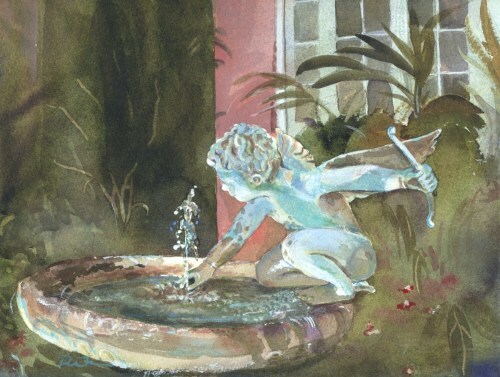 Original unframed watercolor, cupid's innocent touch as a courtyard fountain ornament. Now sharing the edifice with Dickie Brennan's Tableau Restaurant, the painting preserves precious history. 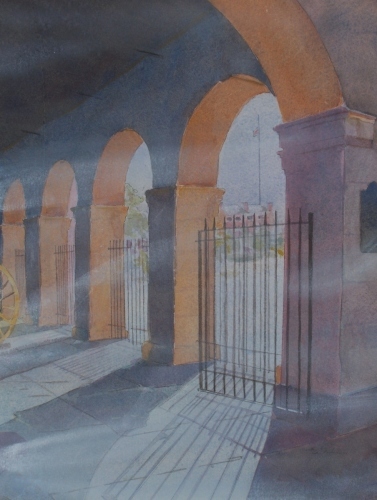 Original unframed watercolor painting, mist fills the archways at Jackson Square's Cabildo Museum.. 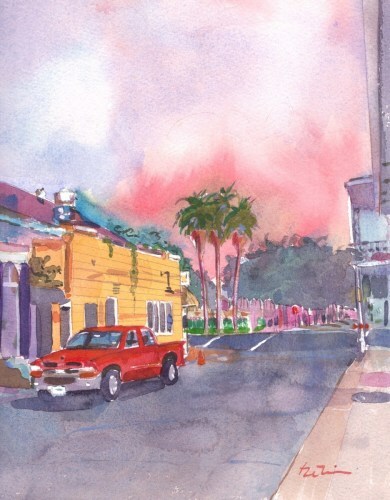 Original unframed watercolor, looking east at Meauxbar Restaurant, New Orleans. 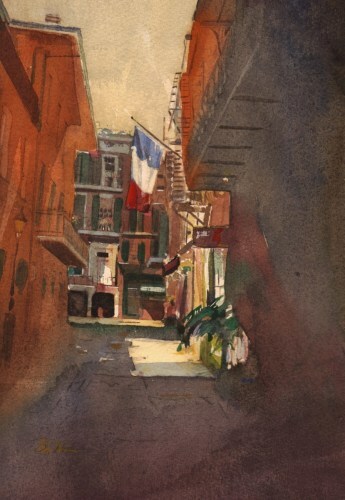 Unframed print of watercolor painting featuring Cabildo Alley, near Jackson Square, French Quarter. 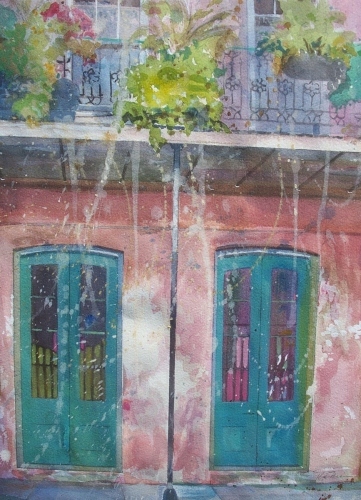 Original unframed watercolor, New Orleans Flora Savage shop. 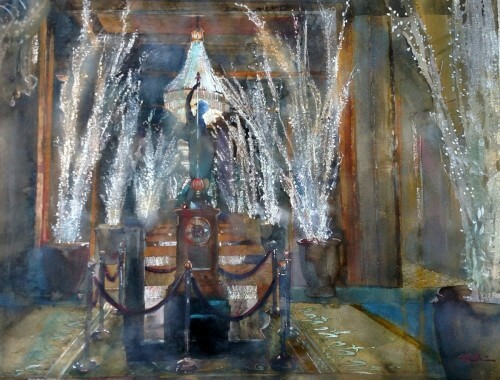 Original unframed watercolor, The Roosevelt Hotel's display of twinkling lights in their grand lobby. This holiday tradition has been observed for generations. 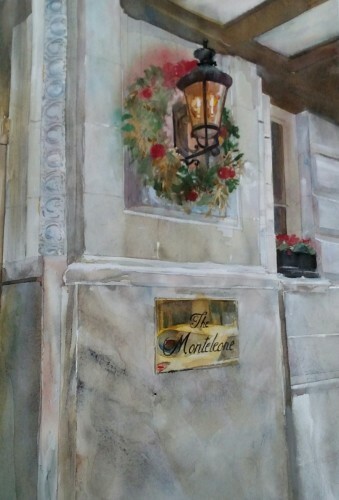 Original unframed watercolor, briskly painted depiction of New Orleans iconic hotel's entryway on Royal Street. 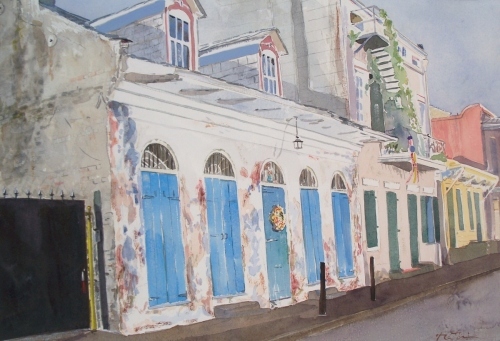 Original unframed watercolor, shuttered building of the Crescent City. 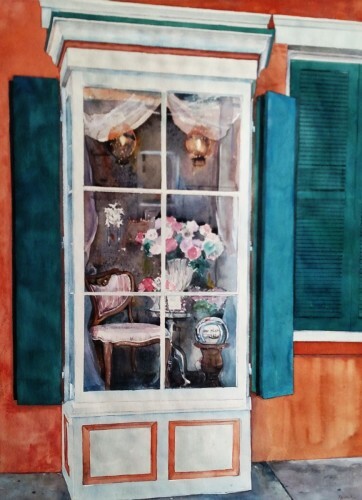 Original unframed watercolor, etheral scene inspired when visiting New Orleans Botanical Garden. 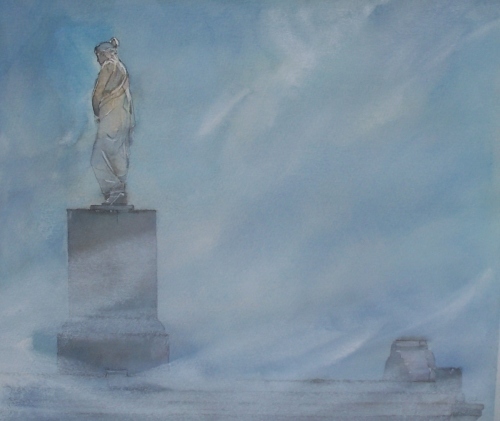 Original unframed watercolor painting, evening Ultramarine Blue washes over "The City that Care Forgot". 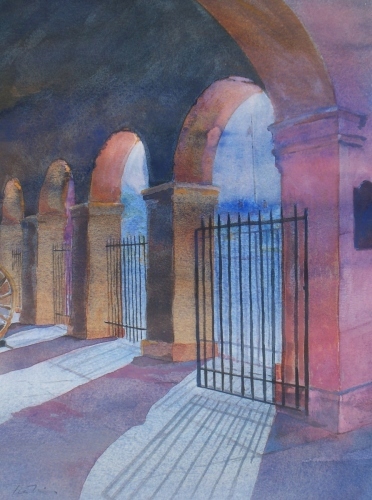 Original unframed watercolor, St. Louis Cemetery No. 3, near Bayou St. John in New Orleans, LA. 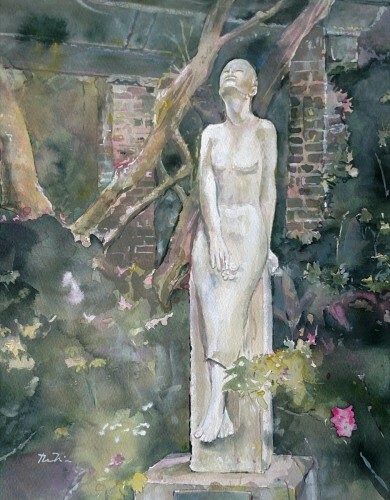 Original unframed watercolor, evening scene with stone statue at New Orleans Botanical Garden.